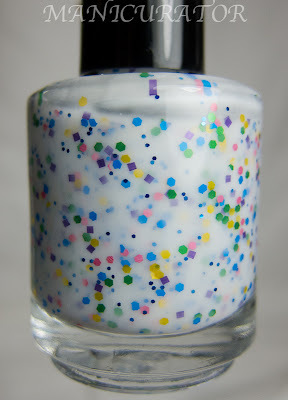 So I am riding high on the white polish with glitter train. I don't think I'll ever get tired of these and I'm thrilled to show you these two additions! Noelie got it as right as can be :D Follow her on Facebook. Noelie has a beautiful blog too, where you can see her own swatches and keep up with what's new. Purchase at her Etsy shop. 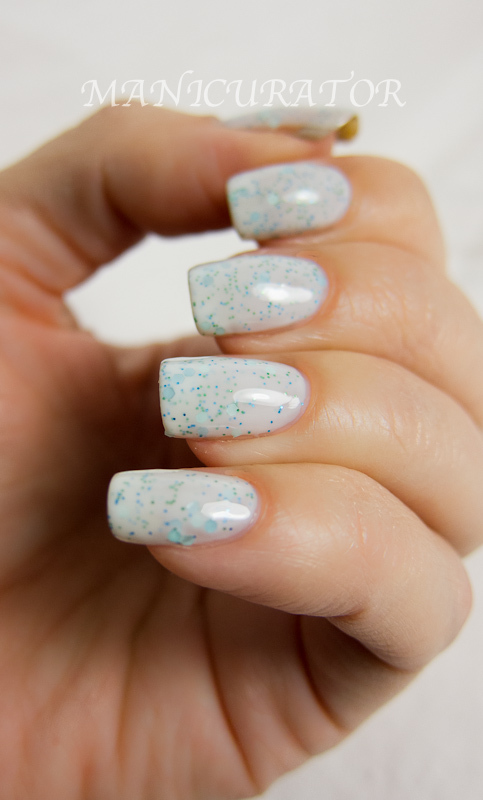 Swatches for both of these have base coat, 2 coats of polish and HK girl fast dry top coat. Formula is fantastic. No issues at all. 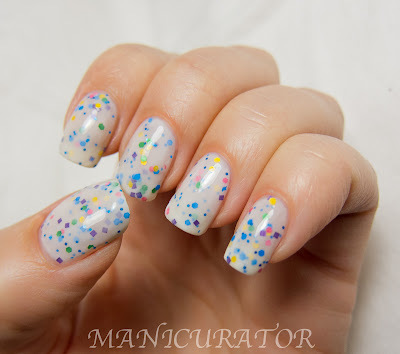 Confection - From her description: "Several sizes and shapes of matte glitters in blue, green, pink, purple and yellow, suspended in a milky white base." Glass Elevator - From her description: "Several sizes and shapes of matte glitters in aqua and light blue suspended in a very, very pale aqua milky base." OK. Can we talk? I Loooooove this. It makes my heart skip a beat. I love that it isn't the standard rainbow colors. I love that it has different shapes and different sizes. And most of all, the base white is just the right amount of jelly vs opaque. You can see through the white to the glitters underneath. So so dreamy. Love this one too!! 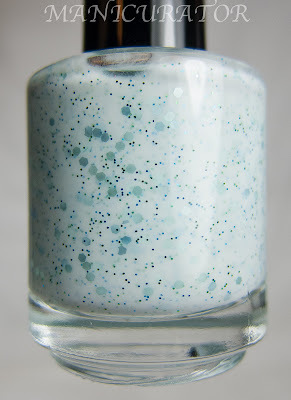 Love how delicate it is and that the base is ever so slightly aqua! Which do you like better? Do you covet the whites too? 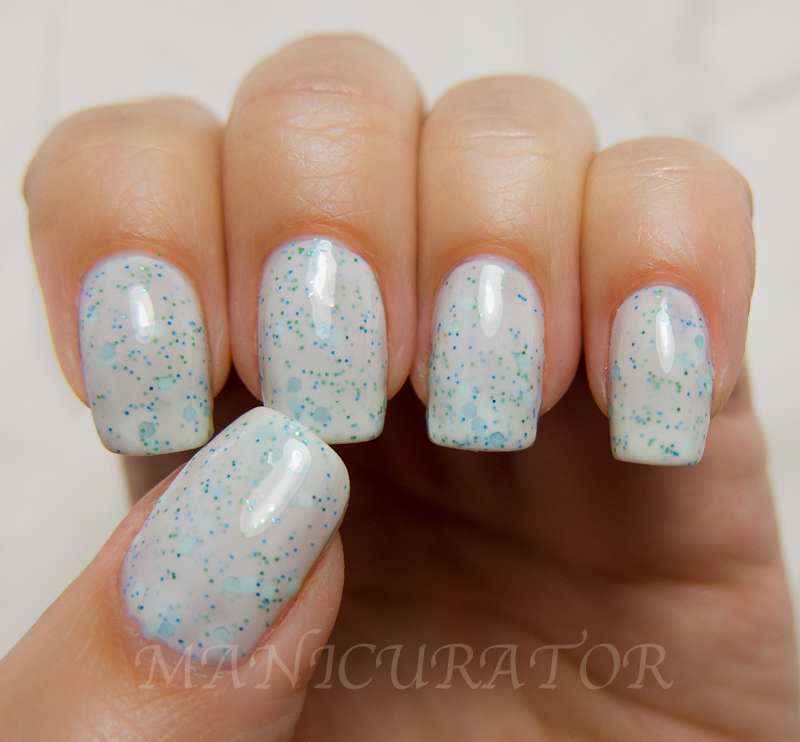 White polishes and polishes with white glitter are my weakness these days. I really love Glass Elevator! And they look great on you. But what doesn't?! You sold me on confection! So gorgeous! 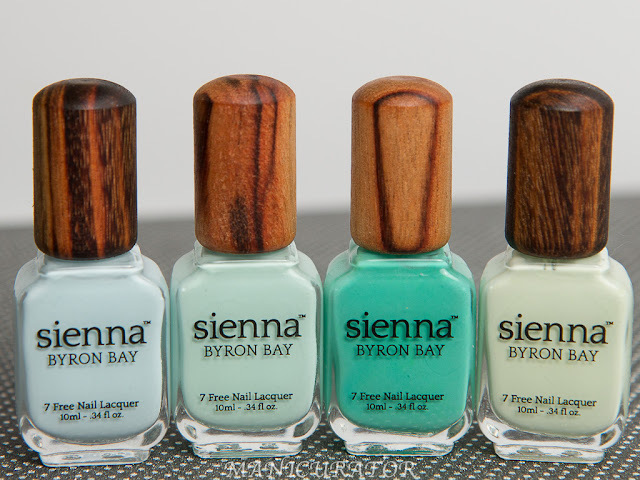 Beautiful swatches! 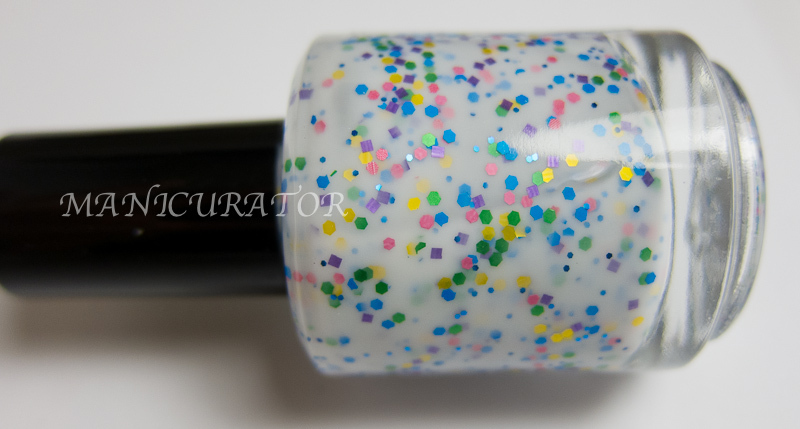 Confection is so cute! Great pics! 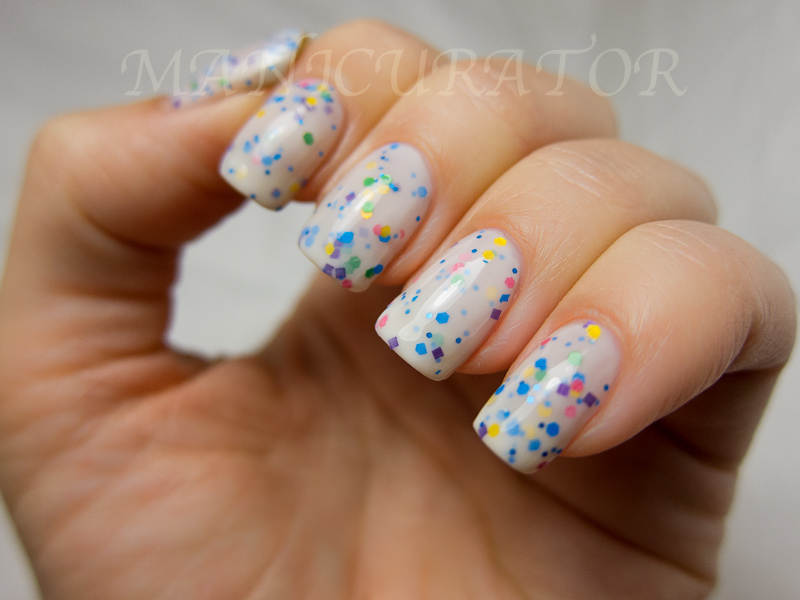 I love Smitten Polish. I don't have these, but Winter is Coming is one of my all-time favorites. I'm going to have to pick up Confection. How does Glass Elevator compare to Dollish's Expecto? They look pretty similar. really nice! 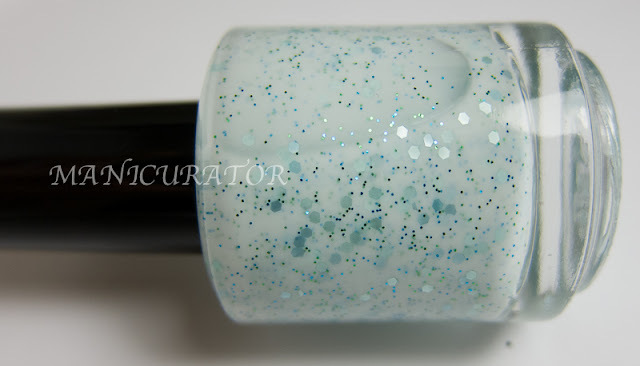 I haven't gotten any white/glitter combos because I don't like how the glitters usually get lost in the base. I am loving these, though. I didn't think I would, but I do! OMG Confection is truly amazing! I'm adding it to the wishlist as we speak! I like Glass Elevator too, it reminds me a bit of Dollish Expecto Patronum. Love them!! 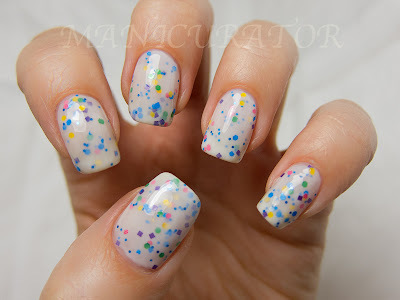 I can not wait to put on Confection! As it is sitting in my untried's!! These are gorgeous!! May need to add these to my wish list! 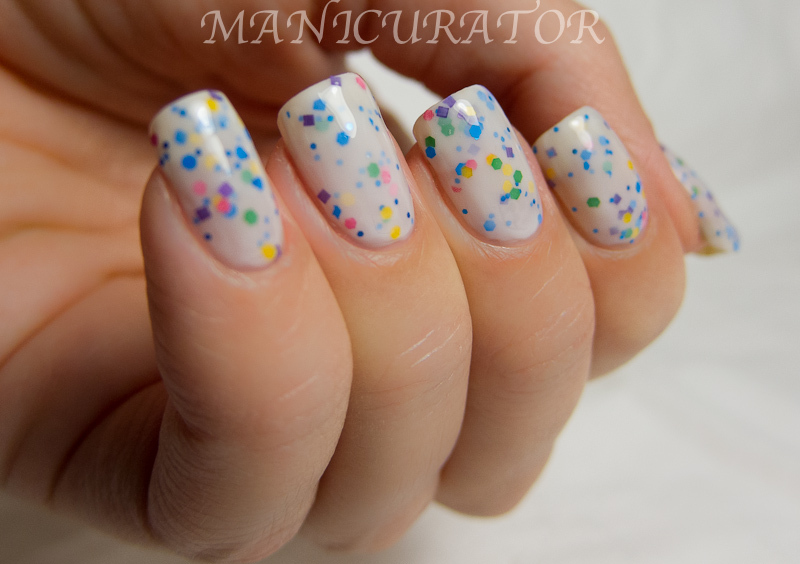 I absolutely adore milky/jelly whites with glitter in them. They always look so pretty and delicate, and these are no exception! I need these in my life! 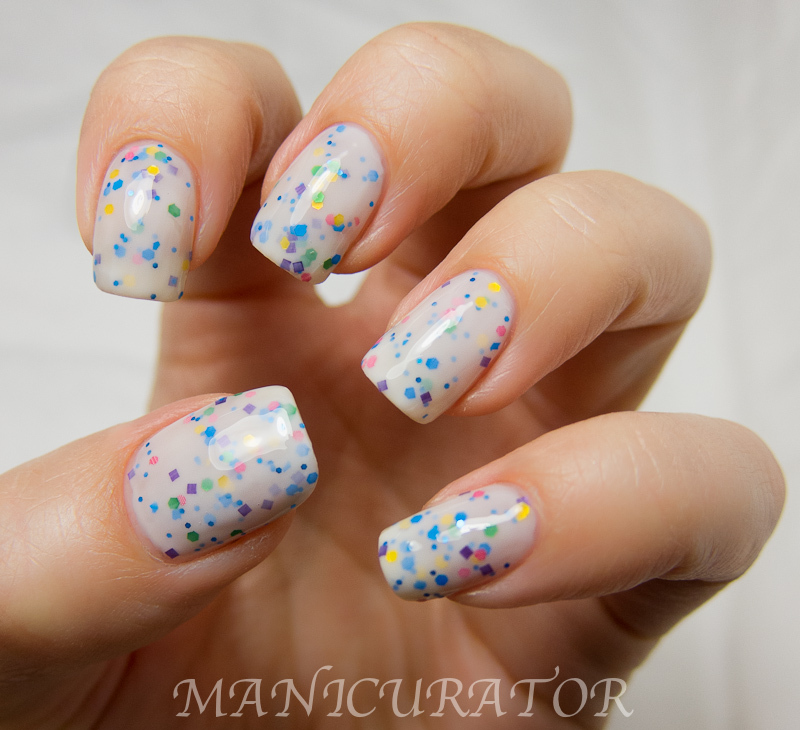 I'm sort of obsessed with getting every white creme with glitter! 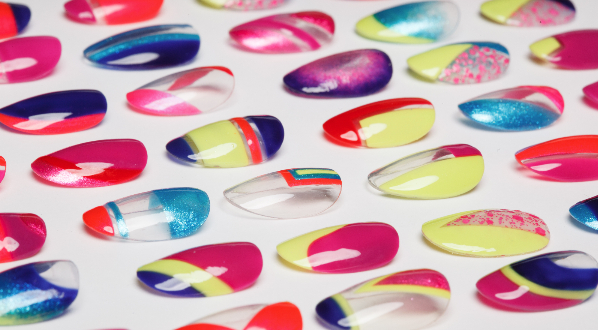 What top coat do you use? The finish is so shiny! These are both really pretty, but Confection is especially gorgeous! I love it!! Seriously obsessed with this right now! Purchasing now!!! BTW: your nails are beautiful! i love them both so much. note to self: must not splurge on nail polish... must not splurge on nail polish. lol. These are so pretty!!! <3!